Soccer betting is quite profitable but it is risky as well. It is a multimillion dollar game but the success in football betting is always elusive. Punters make strategies to keep the game interesting and profitable. Such a strategy is Martingale system and it is considered beneficial but it doesn’t work for soccer. It is system of rollover. Gamblers continue increasing their bets until they win and their losses are covered. In this system, gamblers not only earn profit but they cover their losses as well. If considered from the positive side, it is the best strategy as it has no loss. But if you see it from negative side, you will find that it is quite expensive. Gamblers with strong savings account can only enjoy Martingale system of betting. Let me first explain that the betting system called Martingale is changed to suit to bettors and not to bookies. It is true that this system doesn’t work for soccer but we have tweaked it to make it useful for soccer betting enthusiasts. Bettors might think that they know pros and cons of this system hence they don’t need going through the details but you do need. Our system is different from classic Martingale system as it is for punters and not bookmakers. Traditionally bettors are made to keep increasing bets until the win and the punters can invest any amount from hundreds to thousands. But only rich and effluent bettors can afford Martingale system as bettors need pumping a load of money in the system. The system is easy to understand but difficult to follow. It is like a trap. First bet is lost but the mount lost could be added in second bet. If the second bet is won, the bettor covers the loss of first bet and also gets profit of second bet. If the second bet is lost, the bettor carries the loss amount to third bet. The third bet amount is the calculation of firs, second and third bet. If the third bet is won, the winner quits and starts again, but if the third bet is lost then the punter has to continue with fourth bet, if the bettor wants to cover the loss and make profit. In soccer, it is difficult to continue losing bets and increasing the betting amount hoping to win bet and cover the loss. In football betting, punters are offered certain help. There is hardly any soccer enthusiast, who would want to wait for long time to cover loss and make profit. Martingale system increases risk of loss in soccer betting as bookies don’t offer high octane bets. And when there will be no opportunity for winning, the bettors will lose all their investments. What makes Martingale system interesting for soccer betting enthusiasts? It is money and profit that matters most. If you lose your first bet, you would want to win the second bet but you would want to cover the loss of in first bet. And if you lose the third bet, you will certainly be interested in covering the loss, if not making the profit. Martingale system is an opportunity to cover all the losses and for this reason soccer betting enthusiasts are interested in this system of betting. What is new in Martingale system? Soccer-advise.com has tweaked the system in favor of bettors. With us, you won’t be in loss. Let’s describe the new system in detail. It is the old method stopped at a point, where bettors start making loss. Also you will take help of a tipster instead of doing it on your own and waiting for your turn to come for winning. A tipster will help you win in second or third attempt. If you continue to lose, we will stop the loss. There is no intelligence in continuing with the tipster, who can provide no help. It is better to switch to another tipster, when you see that your tipster isn’t able to make any breakthrough. But we promise no loss even when the bettors switch tipsters. Soccer-advise.com promises refunds up to 40% of the losses. 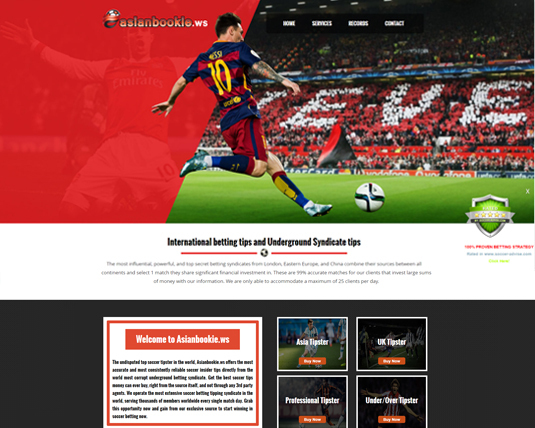 In this way, Martingale system becomes a safe betting system for soccer betting enthusiasts. 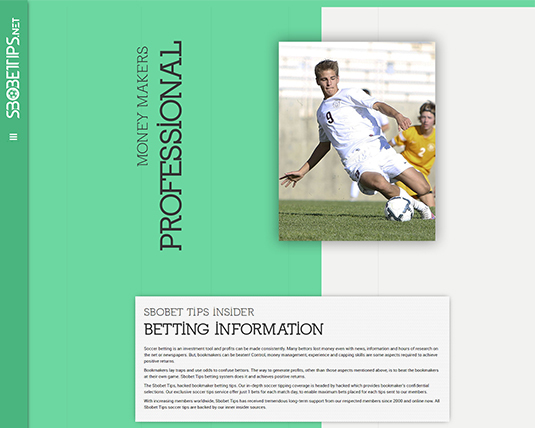 Soccer tips can make soccer betting simple and profitable. Soccer-advise.com suggests tipsters. We have many tipsters registered as our betting partners. We recommend tipsters after ascertaining their strengths and advantages. 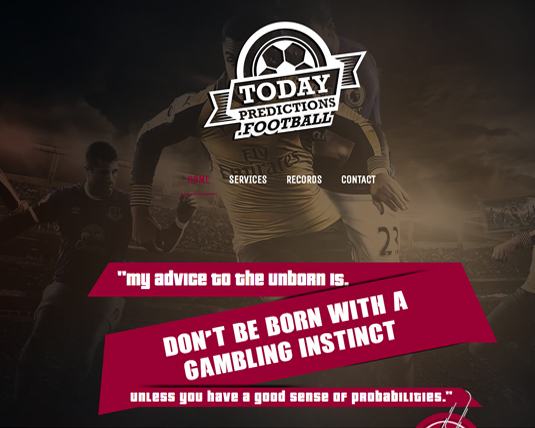 There are little chances of bettors making losses and if they do Soccer-advise.com is here to help. Registered bettors can get up to 40% of their losses. How could we make refund? As a business organization, our 40% revenue comes from tipsters. It is this profit that we share with punters. Martingale system could be safest soccer betting system, if the punters have the assurance that they will win for sure. But in betting, you can never be 100% sure. If you want to quit or you have accumulated loss, we will come to your rescue. You will cover up to 40% of the loss. It won’t be a total loss hence betting won’t be discouraging. But such situation would never come as we recommend tipsters that are 100% reliable. We make sure that only reliable tipsters join our winning group. After going through the new Martingale system, bettors would certainly want to take advantage of the new betting system. It is old Martingale system tweaked in the interest of punters. We have made it 100% safe so that punters can enjoy soccer betting to the full. If you lose your first bet, you have the opportunity to cover the loss in second or third bet. Consecution of betting should have a full stop where punters can feel a sigh of relief. 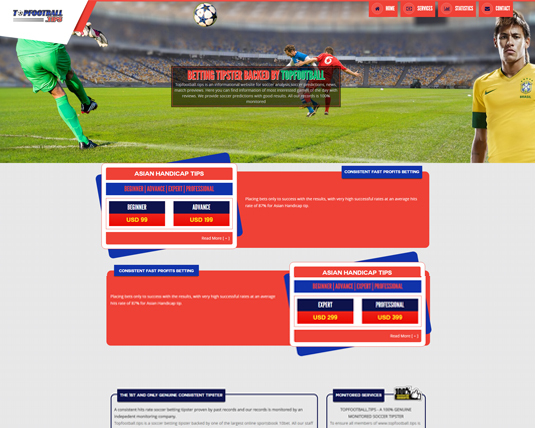 Soccer-advise.com extends a helping hand to the bettors. We have made things simple to understand, affordable to bear and profitable to continue. Join us today and enjoy soccer betting to the full. Make money like others are doing and stay safe from the losses.